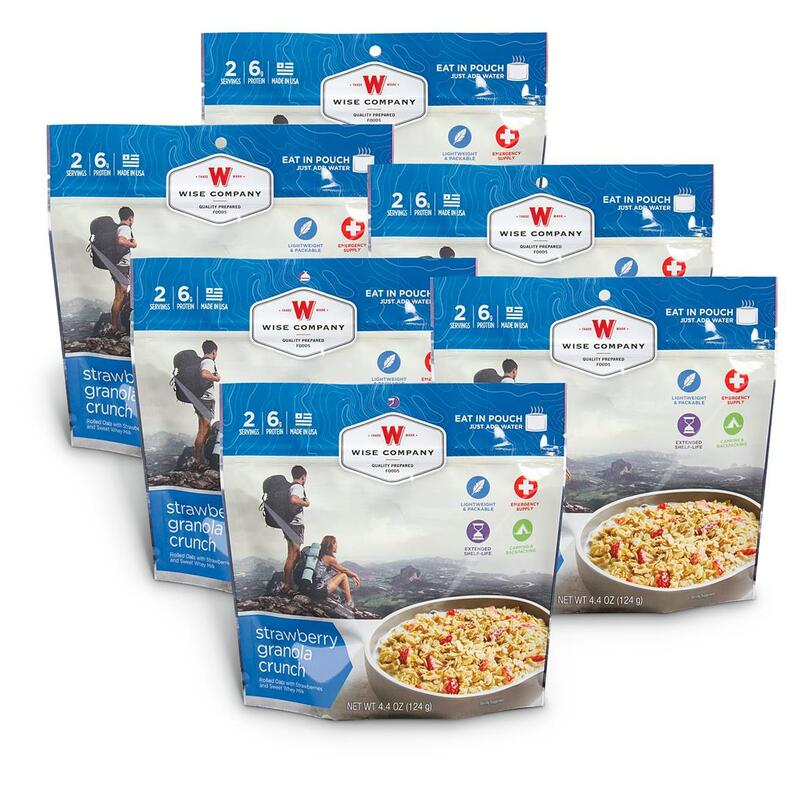 Easy, on-the-go meals for when disaster strikes. A satisfying meal solution for camping, emergencies and preparing for an uncertain future. When the clock is ticking and every calorie counts, this freeze-dried food is ready to deploy FAST. Excellent eats for the Great Outdoors! Being prepared means not sticking yourself with sub-par survival food. Fueling your body should also fuel your mind, and with this top-quality freeze-dried food, you can step up your meals with diverse tastes, textures and bold, stick-to-your-ribs nourishment. Satisfying crunch to start your day off right! When you're going off the grid, reach for this Strawberry Granola for an easy, on-the go breakfast. 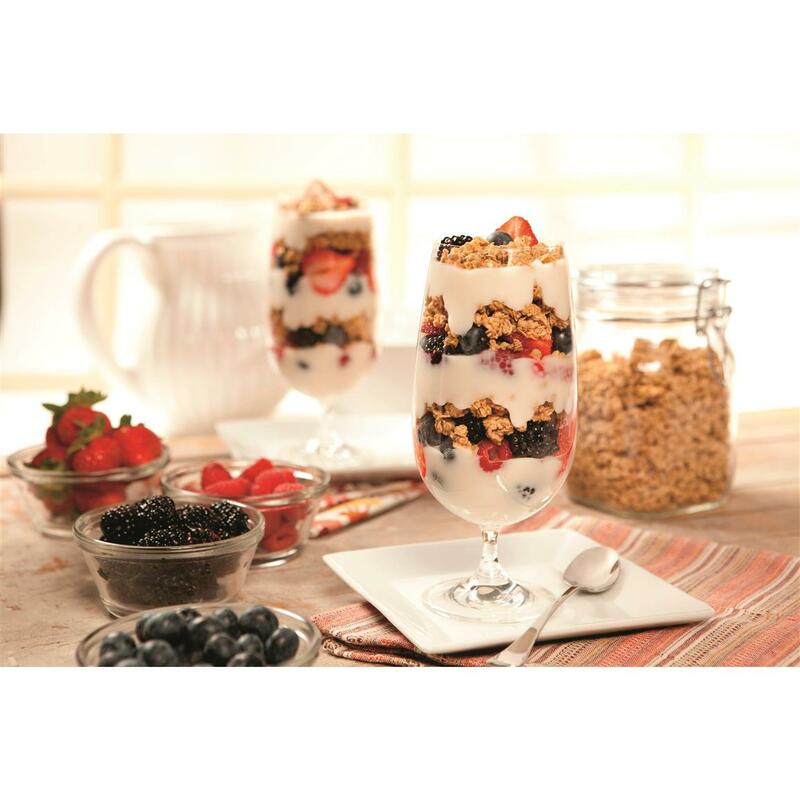 Includes 6 pouches of hearty rolled oats with strawberries and sweet whey milk. Incredibly easy to cook, too. Just add hot water! For camping, backpacking, emergency rations and more. Just add boiling water and your breakfast will be ready in minutes! Don't short change yourself with low-quality emergency food! Stock up on top-quality freeze-dried meals today!